Today Marks The 45th Anniversary Of The "Super Outbreak of 1974"
Today marks the 45th anniversary of one of the worst tornado outbreaks in the country’s history. 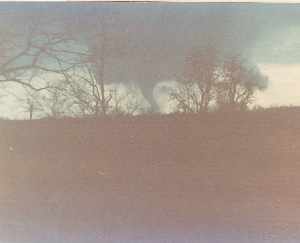 Between April 3 and 4, the “Super Outbreak of 1974” spawned nearly 150 tornadoes across 13 states, including Indiana and Kentucky. More than 300 people died, and another 5,000 were hurt across the Midwest. In Indiana 21 tornadoes hit 38 counties, killing 47 people and injuring 800 others. In Kentucky, 71 people were killed. The National Weather Service says most of the Indiana tornadoes traveled at nearly a mile a minute. The Hanover/Madison F4 twister formed near Henryville and traveled through Jefferson Co. and leveled many structures in Hanover and Madison. Eleven were killed in this storm while an additional 300 were injured. According to a WHAS-TV Louisville reporter in a special report about the outbreak, 90% of Hanover was destroyed or severely damaged, including the Hanover College campus. Despite the fact that no one was killed or seriously injured at the college, 32 of the college's 33 buildings were damaged, including two that were completely destroyed and six that sustained major structural damage. Hundreds of trees were down, completely blocking every campus road. 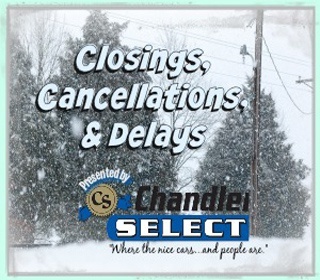 All utilities were knocked out and communication with those off campus was nearly impossible. Damage to the campus alone was estimated at about US$10 million. 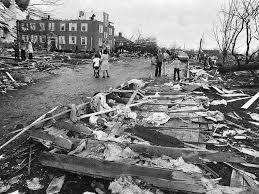 In Madison alone where seven of the fatalities took place, about 300 homes were destroyed. This is a good reminder to be weather aware when severe weather is forecast.